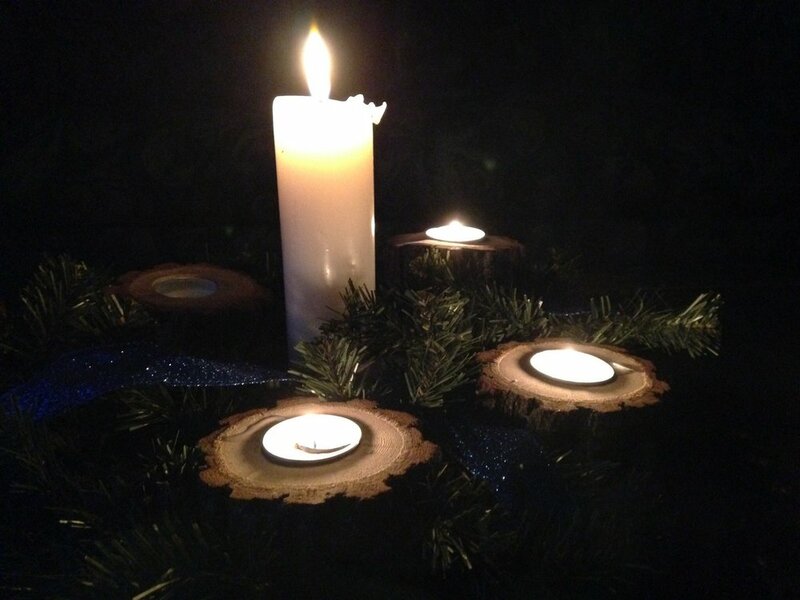 On this Wednesday night, December 20, we will be having the last of our mid-week Advent worships. For many years, it is a tradition to use the beautiful evening prayer liturgy from Holden Village for both Advent and Lent. The music resonants deep within many people. It is a tradition worth repeating as each new generation becomes inspired by this special worship. On Wednesday night, we will honor the tradition with a twist. Instead of worshiping in the sanctuary at St. James’ “home base” on Williams Drive, we will be gathering down the road at Savage Senior Living/Cherrywood Pointe. We will bring our sacred music, Word and Sacrament out into the neighborhood. In conjunction with Christmas caroling (6:00 p.m.) and a shared meal (5:30 p.m.), we are taking worship on the road. It aligns with our church’s vision to build and deepen relationships with God, each other, and our neighbors. Our worship experiment (we’ve not done something quite like this before – or at least not in recent memory) will be touching on each aspect of this vision. Worshiping offsite will remind us that a building is not at the heart of a church’s identity. The church is the people that gather around Word and Sacrament to sing praises and offer prayer. For sure, our beautiful sacred space on Williams Drive aids this worship and our coming together as a community of faith and struggle. However, a building (even a beautiful one as we have) cannot define our identity. It is the Spirit that brings us together as a church. The Spirit makes us a church by gifting, nurturing, defining, and sending our faith. The Spirit, through the life-giving waters of baptism, gives us identity and mission in Christ. On Wednesday, we will share that identity and mission out in the community with the residents of Savage Senior Living/Cherrywood Pointe. Through our presence, prayers, and praise we will share the joy that we find as a church in Christ. We will not, however, bring Christ out into the neighborhood. Christ is already there! Instead, we will go out into the neighborhood in the name of Christ to engage with the Spirit of Christ that lives just down the block. I hope that you can join us in what I hope becomes an Advent tradition. Meet us at the Savage Senior Living/Cherrywood Pointe residence just behind the Savage library and Savage Police station at 5:30 for the meal, at 6:00 for the caroling, and at 7:00 for the worship. Come for one portion or stay for it all! Come with Advent hope to share in the joy of Christ as we leave our familiar surroundings and celebrate anew as the Body of Christ.